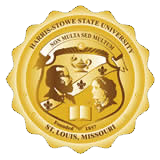 The Board of Regents of Harris-Stowe State University reserves the right to, at any time, increase credit-hour charges and fees, and otherwise amend current regulations governing these charges as well as the method of payment, and to make such changes effective immediately. The Tuition and Fee Schedule is accessible through the Office of the Bursar’s web pages. A minimum of 12 college-level credit hours earned. In-person registration is required for internship, senior synthesis, student teaching and some mathematics courses. Students may access on-line registration instructions through the Documents and Forms window of the Students tab of MYHSSU. Please visit MYHSSU for instructions and other useful resources. Students who do not meet payment schedules for charges and fees may be administratively withdrawn from the university. The student will be liable for all debts incurred up to the date of withdrawal. Refer to the current semester calendar available in the University Resources window of the MYHSSU Student Portal for information about financial clearance and withdrawal/refund deadlines. Students must also secure Student ID cards and parking permits. Student ID cards are required at all times in campus buildings. Student ID cards are issued by the IT Services Helpdesk. Parking permits are required to park on campus and issued by the Office of Public Safety.